inspiration Archives - You're Doing Great, Baby! I am giving a talk in Sydney on October 13 at the Lord Dudley Hotel in Woollahra. It’s part of the great line up of talks and masterclasses organised by Mama Creatives. It would be wonderful to see you there! You can purchase tickets here. Enjoy an inspiring, informative and passionate talk by artist, filmmaker, photographer and writer Beth Taylor, who will be sharing her story, body of work and discussing You’re Doing Great, Baby – a book she has co-written and illustrated with her husband – over dinner and drinks in the company of other creative mamas! 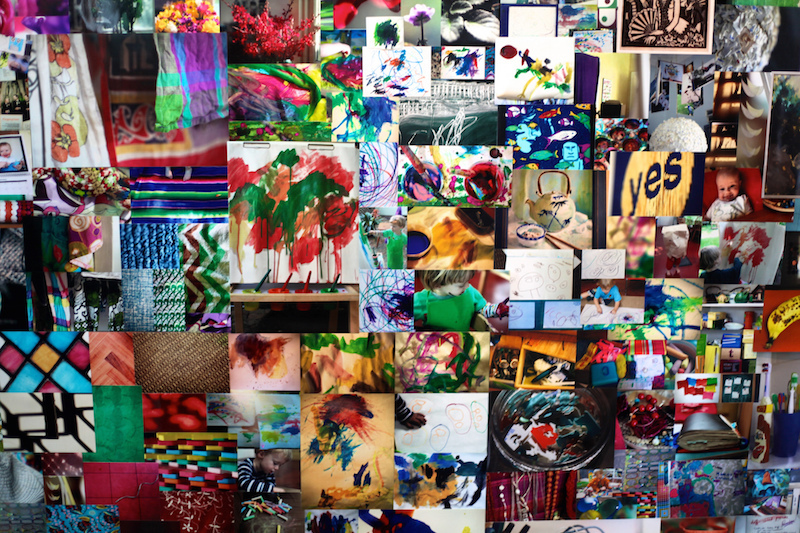 A look at Beth’s diverse range of work – from photography to writing and illustration, infused with personal stories of the heart-bursting highs and gut-wrenching lows of being both a mother and an artist, and what she learnt from her experience of having postnatal depression and mild postnatal psychosis after the births of her two boys. There will also be a raffle on the night to raise funds for PANDA. Getting ready for the talk has prompted me to update my portfolio on our main website – hooray for deadlines. Check it out! This is a post about finding ways to keep creating things when you’re a parent (other than breakfasts, lunches, dinners and clean laundry). And the joys and frustrations of being a parent who needs to create. After a rocky start, becoming a Mum was the best thing that ever happened to me, both personally and creatively. I had always known that creative work was important to me, but there’s nothing like suddenly having a lot less time to make you stop procrastinating and just do something. I trained as a documentary writer/director but I wasn’t confident enough about my work to pursue my ideas or apply for grants after I finished film school. I found a full-time permanent job that was related to film, and then pretty soon after that I got pregnant. Once Leo was born and I had recovered from the shock of it all I was drawn to creative practice I could fit into nap-time and didn’t require other people, big budgets or expensive equipment. I had also grown up a lot and cared less about what other people thought of my work. 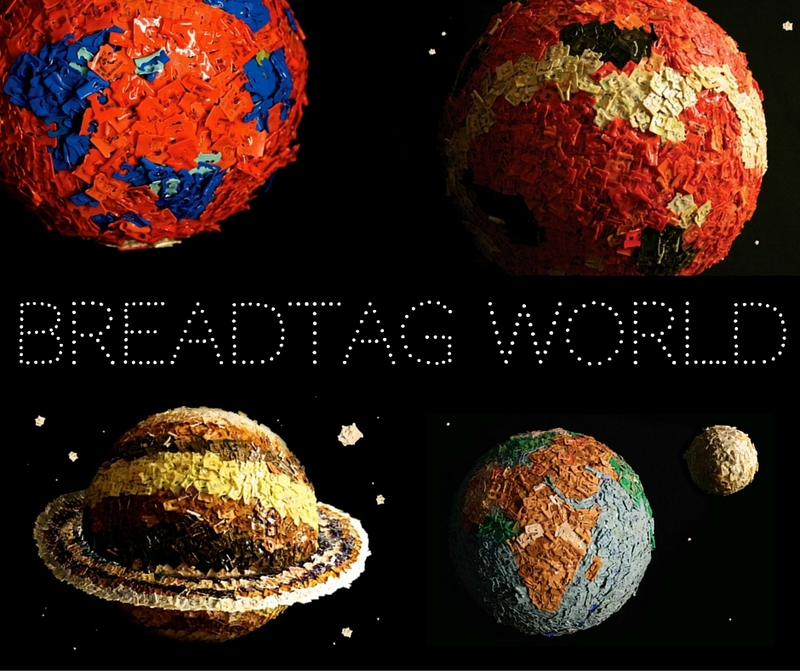 I had my first exhibition, Breadtag World, when Leo was 18 months old, and then another called Home when he was three. Parenting is a hugely creative thing to be engaged in. You are constantly adapting to suit your child/ren’s needs and playing imaginative games, playing with language, song, paint, dance and all sorts of different media (ATM my youngest, Clem, is into wood-chips and banana, and Leo is into pastels and mask making). But it’s not enough for me to just facilitate their creative expression – I want a turn too! There’s lots of time to daydream but not very much time to actually put pen to paper, brush to canvas or fingers to keyboard. “I had to learn to be fast, faster than I’d ever been, for every second counts with a child. I had to teach myself to commit phrases and words to memory when I did not have a pen, to scribble notes to myself on the backs of envelopes … I learnt to compose everything in my head rather than on the page, to have whole paragraphs, whole chapters, completely worked out before I even sat down. 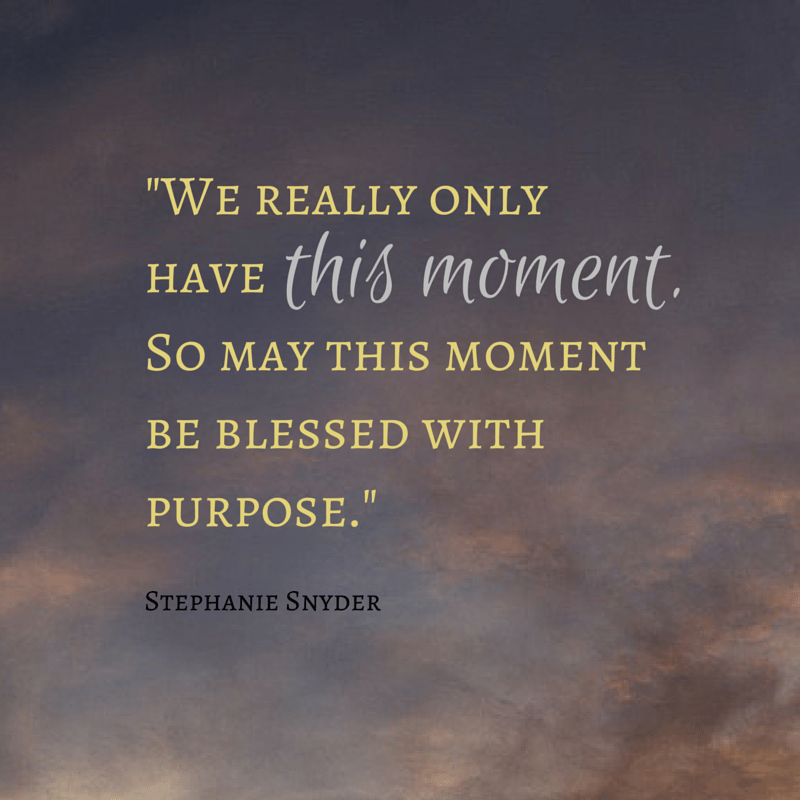 My dear friend Tabitha put me onto Stephanie Snyder’s classes on Yogaglo a few years back. Although I’ve never met Stephanie, or even been in the same room as her, she is my yoga teacher. It’s amazing how much wisdom she can impart while also giving your body, mind and heart a good workout. The key to our freedom is through service … To serve love and serve each other. I am filled with gratitude to be able to take a class with her whenever I get the chance. There is always washing to hang out or put away, and a meal that needs to be cooked, but any time I can get on my mat and do some yoga gives back to me ten-fold. Yoga is the perfect practice for pregnancy, postnatal aches and pains, and life in general. I am inspired by how honest she is about her own struggles and failings, and how generous she is with her love and support. She is all about giving yourself permission to feel overwhelmed in early motherhood. I hope that this same spirit is echoed in our book. 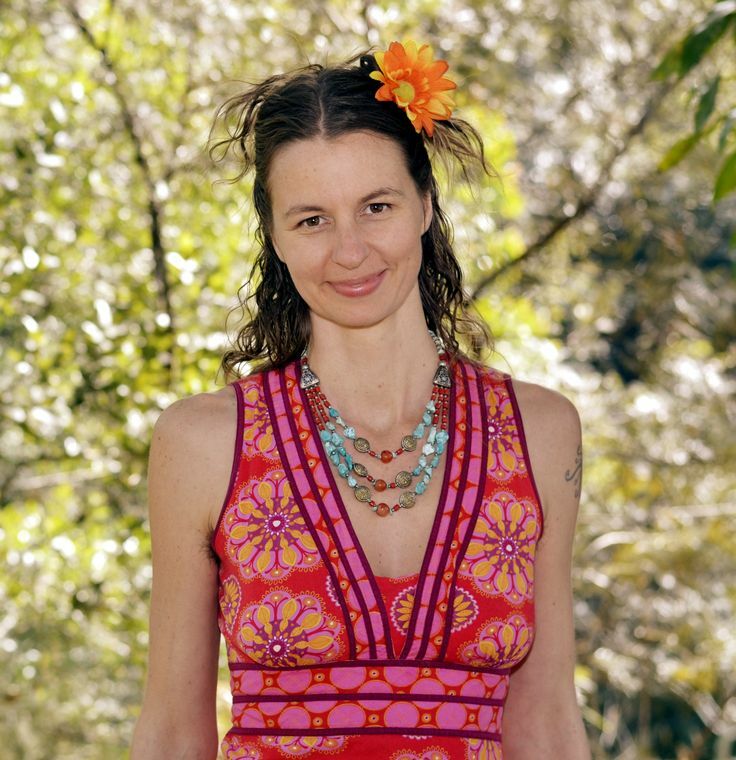 Avalon Darnesh is a sharmanic birthkeeper and mother, who is on a mission to support women so they can awaken their full potential. Have you ever read a simple idea and been so struck by it that it stays with you forever? That’s how I feel about a lot of things that Avalon Darnesh says. I am so grateful for her work, and it’s inspired me as we have been working on our picture book for new parents You’re Doing Great, Baby. Instead of putting your ‘parenting’ hat on, try just being yourself. It’s much more real and less energy. If I’m in a funk or feeling angry, I visualise what my parenting hat looks like (e.g. stiff red velvet with a small brim), and visualise me putting on a totally silly beautiful hat instead (e.g. a floppy, felted purple hat with felted flowers on it). Let nature be another parent to your child. I am naturally drawn to women’s wisdom. Most of what I read is non-fiction written by women, and I have too many heroines to name. I have written about women who’s work has in some way inspired our book, including: Cheryl Strayed, Pinky McKay, Gretchen Rubin and Stephanie Snyder. 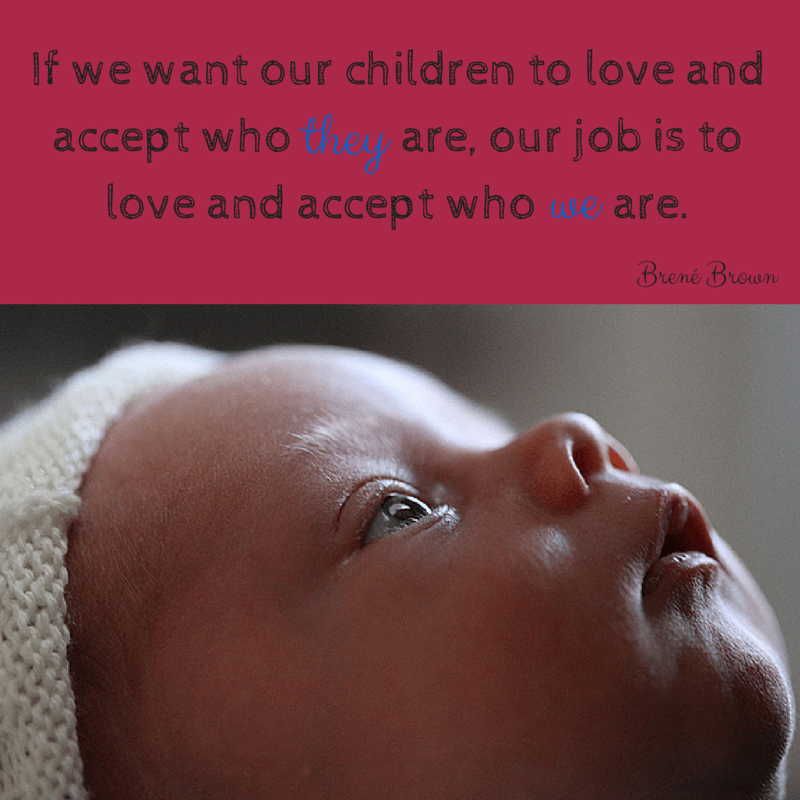 The quote in the picture above is from Brené Brown – a Texan researcher and academic in the field of social work, who writes about vulnerability, love, shame and wholeheartedness. I discovered her through her TED talks and have read all her books. I am a major fan of her work. I was re-reading the chapter on ‘Wholehearted Parenting’ in Brené’s book Daring Greatly, and I basically wanted to transcribe it all into this post because it is all so spot-on. In fact all of her books have nuggets of wisdom that are useful for parents. All of her ideas are based on interviews with hundreds (if not thousands) of people about their lives, their struggles and what is important to them. She distills what she has learnt into her wonderful books. I highly recommend seeking them out. Below is a quote from Daring Greatly that I hope is echoed in our book. 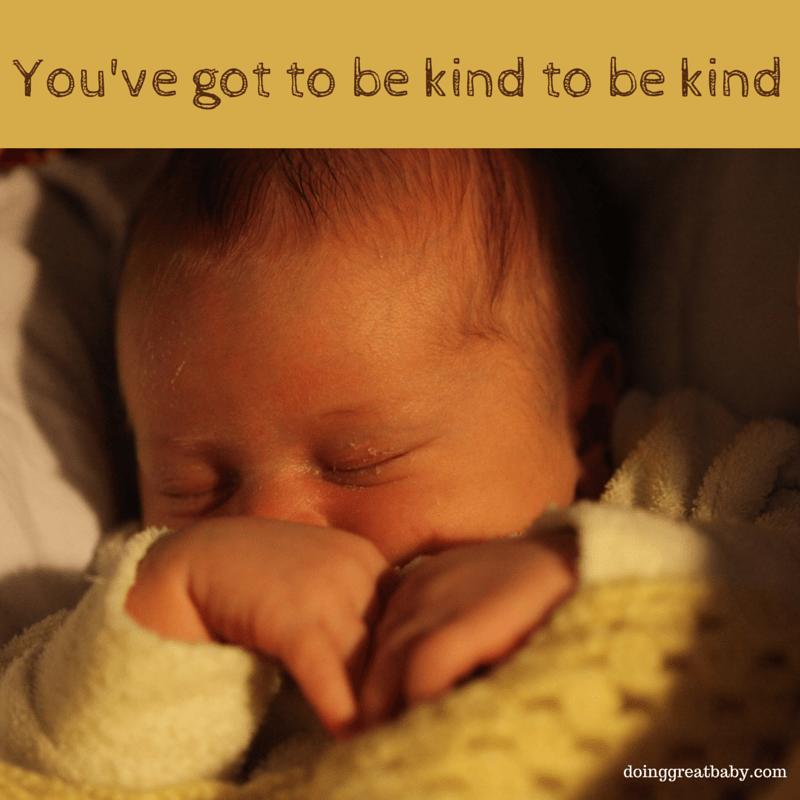 If I keep this in mind during those harder days, I find I’m kinder to both myself and my kids. 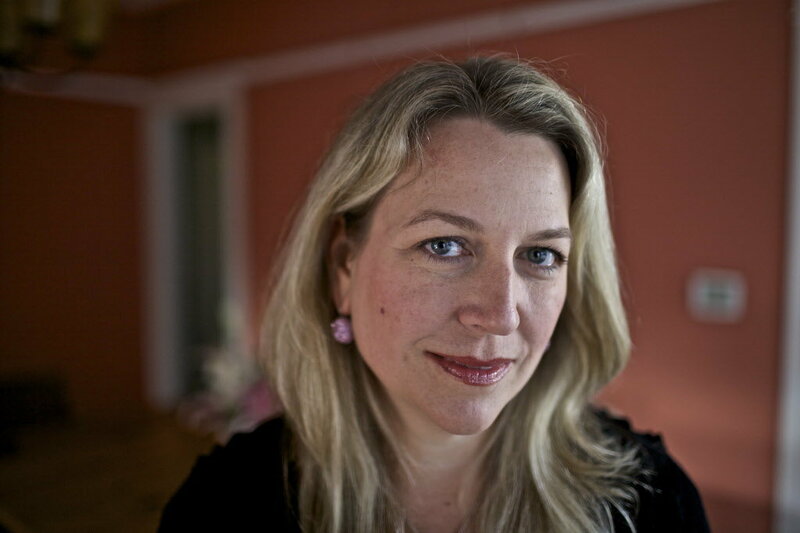 Cheryl Strayed is a writer from Portland, Oregon. 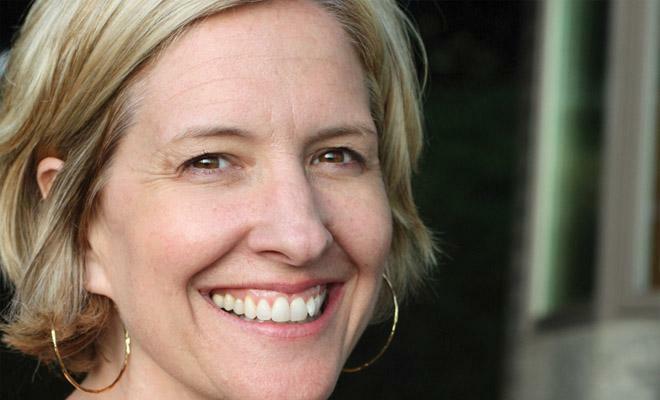 She has written fiction, a famous memoir called Wild, and an advice column called Dear Sugar. Her writing as Sugar spawned the incredible book Tiny Beautiful Things. Pretty much every time I listen to Cheryl’s Dear Sugar Radio podcast, which she does with Steve Almond, I am struck hard by the truth of something she says. She manages to articulate things that my body/heart knows but my mind didn’t. I am so inspired by her writing and her honest, compassionate advice. I had been loved too well to ruin my life. This idea feels familiar to me, and yet I had never thought of it like that before. I want to put it in bold with rainbows behind it, because I think it is true and amazing. 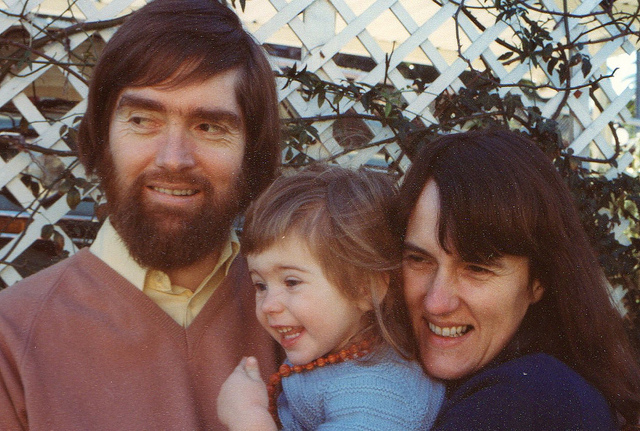 My parents loved/love me in a way that makes me want a good life for myself and my own family. Their love is present in me like a cell that has divided again and again and is the blue print for my love for myself and my loved ones. Their parenting wasn’t perfect (just as I am not a perfect parent). Can we just agree there’s no such thing as a perfect parent? They did their best and there is something about their love which keeps me on a loving path with myself. It’s my safety net. I have had tough times in my life. I have made bad decisions. But ultimately I know how to love myself because of how they loved me. But what if we weren’t loved by our parents in a way that nourishes us? My Mum had a troubled relationship with her own parents, and she felt saved by the love of her maternal grandmother. Her Gran’s love is present in her love for me. Surely giving our children this love safety net is one of the greatest things we can do for them. I find it very comforting to visualise an imperfect but beautiful safety net made of the love of all of my ancestors, present inside of me and my children. I hope this gift of love is present in our book. My Dad used to quote the first verse of this poem to me when I was a teenager. It was his catch-all disclaimer for any parental failings I accused him of. Whenever I am taking parenting too seriously I think about this poem and it never fails to give me a smile. There is something charming and disarming about rhyme. I hope that our book (with its rhyme and all) contains some of the humourous spirit of Larkin’s poem. Sarah Napthali‘s book Buddhism for Mothers really resonated with me when I read it a few years ago. Its messages of being truly present with your children and practicing self-compassion are gently expressed but so powerful. It crystalised a lot of things for me – especially the quote above, which adorns a cupboard in our kitchen. It’s such a simple idea, but it can be acutely hard to do sometimes. Especially when you’re having a difficult time. I hope that our little picture book contains some of this wisdom (in rhyming couplets). I could write a thesis on all of the thinking behind our book, but I’ll stick to just writing a few blog posts instead.